Delighted to see that one of my architectural images received an ‘Honourable Mention’ (4th place) and two of my other B&W images were ‘Nominated’ (shortlisted) in the very prestigious 11th International B&W Spider Awards in Los Angeles. With tens of thousands of professional entries from over seventy countries, it was indeed an honour to have some of my architectural stills imagery selected. I also received a second place in the architectural category a few years ago when i last entered, but never a first – yet … Must try harder to actually win next year ! 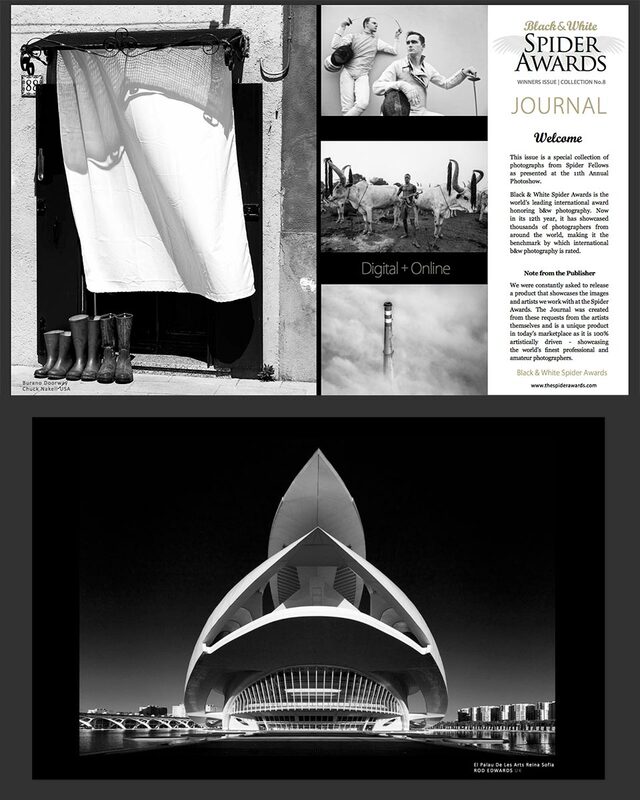 The winners have been published the The Journal … it’s a beautiful collection of amazing black and white images and includes my shot of El Palau De Les Arts Reina Sofia in Valencia, Spain. The Journal can be downloaded for free as a PDF from here Click Me! 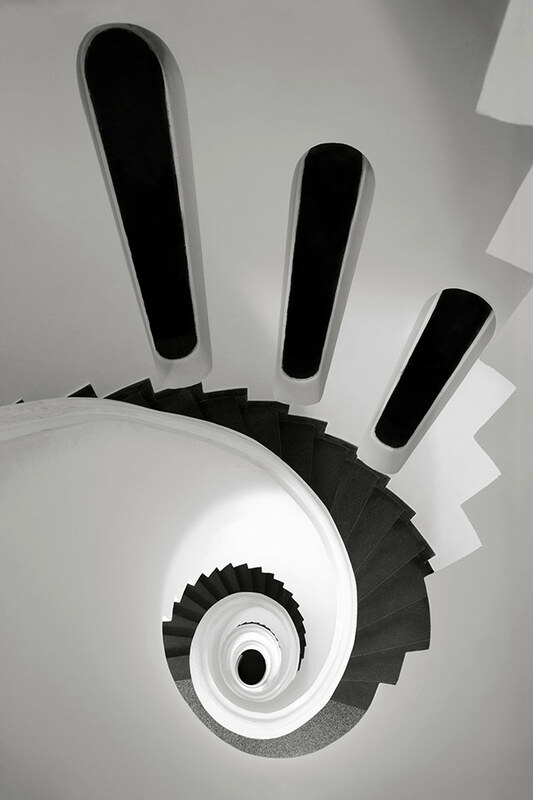 Second place in architecture “Scala A Chiocciola, Ravello” Spiral Staircase, Ravello.